This book has good information but it is slanted to make a point at times. The advice and stories are very academic in nature with advice giving from someone who has spent time in the classroom and not on the front lines. The author interviews business leaders and leads them during the interview. Slightly over dramatic as well. In general it is worth a credit if you have some time to kill and you are a critical thinker and can wade through tide of influence. Something scary is happening to boys today. 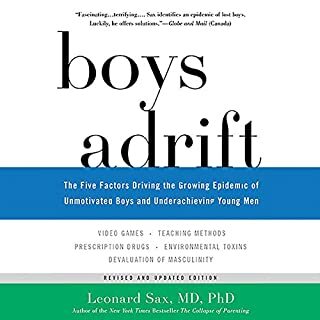 From kindergarten to college, American boys are, on average, less resilient and less ambitious than they were a mere 20 years ago. The gender gap in college attendance and graduation rates has widened dramatically. While Emily is working hard at school and getting A's, her brother, Justin, is goofing off. He's more concerned about getting to the next level in his video game than about finishing his homework. this one missed the mark. to often the author took liberties with the stories that were simply not facts. he could have made the points without as many assumptions. 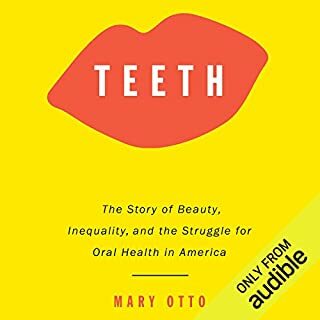 Teeth takes listeners on a disturbing journey into America's silent epidemic of oral disease, exposing the hidden connections between tooth decay and stunted job prospects, low educational achievement, social mobility, and the troubling state of our public health. Better than an apple a day. There was good information and the over all book was good. 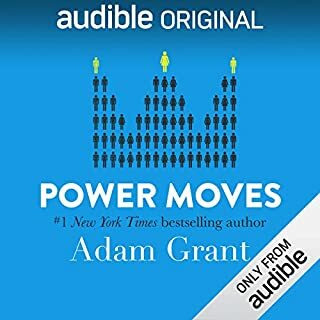 There were a few chapters where I felt like the author became a social warrior and allowed emotion over shadow the information being delivered. It was defiantly worth a credit and was easy to listen to. there is alot of talk about how great the system works and if you are on one side you going to be successful and the other side is going to fail but there is little true process to follow. its like saying man chocolate chips cookies are the best and you need flour, chips, and butter. now go make them. I love this series from the first book. I hate I did not love this one. It is almost as if it came from a different author. If you have been following the series I would still get it if you have a credit to burn as there is information in it that you may wish you had in the next one. better luck on the next one. 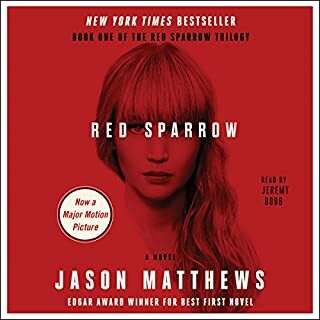 Drafted against her will to become a "Sparrow" - a trained seductress in the service, Russian intelligence officer Dominika Egorova is assigned to operate against Nathaniel Nash, a first-tour CIA officer who handles the CIA's most sensitive penetration of Russian intelligence. The two young intelligence officers, trained in their respective spy schools, collide in a charged atmosphere of tradecraft, deception, and inevitably, a forbidden spiral of carnal attraction that threatens their careers and the security of America's valuable mole in Moscow. Beware ,the power of a scorn woman! 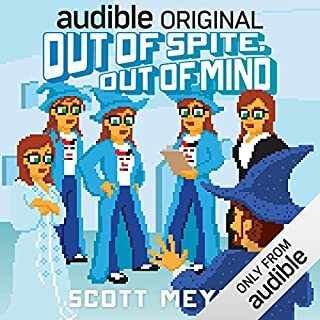 The audio book was pretty good. The story did drag in a few places but over all it was good. The one thing that made want to crush my headphones was the bad advice the author received and thought it would be a good idea to keep intuiting the story with recipes.In a good part of the story and the WHAM its a cook book..... I hope the next book someone stopped this nonsense. Not the hard sale but a hard line. 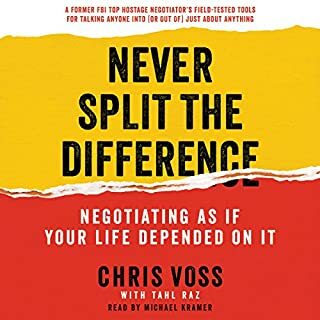 This is a great book for those who need to get things done. Maybe not the best book if your looking to have a win-win game. 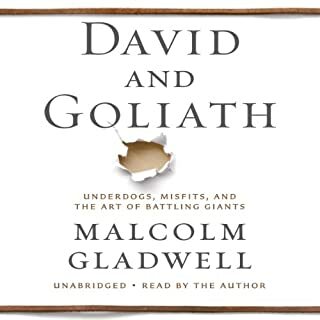 I learned a lot from thins book and will give it a second listen. There is just to much good info to take in for 1 listen. The stories in the book are good and fit them need when used. Often books use stories that are to good to be true. That is not the case here. I would recommend this book. I do not believe you will be sorry if you are looking to sharpen your communication skills. 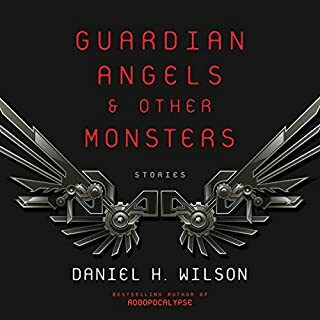 In this fascinating and fantastic collection, Daniel H. Wilson explores complex emotional and intellectual landscapes at the intersection of artificial intelligence and human life. In "All Kinds of Proof", a down-and-out drunk makes the unlikeliest of friends when he is hired to train a mail-carrying robot; in "Blood Memory", a mother confronts the dangerous reality that her daughter will never assimilate in this world after she was the first child born through a teleportation device. Okay. I love Wilsons other books and this on is not bad but I was not one for mini stories. It seems like you get going and then your over. If that is your thing then you might really like this one. 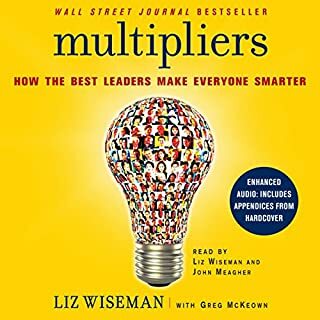 3 stars for me is not a bad book but not one I would listen to a second time. I did not know I was buying a fully dramatized version but I'm glad I did. this was well done. 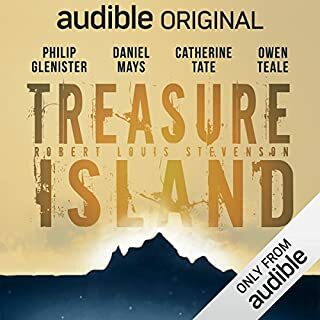 if your a fan of the story it is a good listen.